Geographically, Nepal is nestled in between two giant countries India and China. It is a land locked country with five development regions. It takes over ten hours to reach to Fikkal/Ilam from Kathmandu. The 500km journey to Fikkal begins from Kathmandu, the Capital of Nepal. BP highway (Banepa- Bardibas) is a new route which passes through Dhulikhel to reach Ilam. This road connects Kathmandu Valley with Eastern Nepal. Geographically, Nepal is nestled in between two giant countries India and China. It is a land locked country with five development regions. It takes over ten hours to reach to Fikkal/Ilam from Kathmandu. The 500km journey to Fikkal begins from Kathmandu, the Capital of Nepal. BP highway (Banepa- Bardibas) is a new route which passes through Dhulikhel to reach Ilam. This road connects Kathmandu Valley with Eastern Nepal. The beautiful river and the mountains make the journey more adventurous. This road passes through the Sindhuligadi. Sindhuligadi is a historical place where the British troop led by the Captain Kinloch was defeated by the Gurkha soldier back in 18th century. Nepal remained undefeated from the British Raj. Koshi river which originates from the high Himalaya is another place to stop. Saptakoshi consists off seven rivers- Sunkoshi, Tamakoshi, Bhotekoshi, Dudhkoshi, Tamor, Arun and Indrabati. Koshi Tappu Wildlife center is also located on the side of Koshi river. It is a home of over 485 species of bird. The center also preserves the wild water buffalo and other wide range of animals like gharial, deer and wild pigs. Fikkal, a small town of Ilam is located in the Mechi Zone of eastern Nepal. Geographically it lies in the hill region which is mostly known as Mahabharata range. 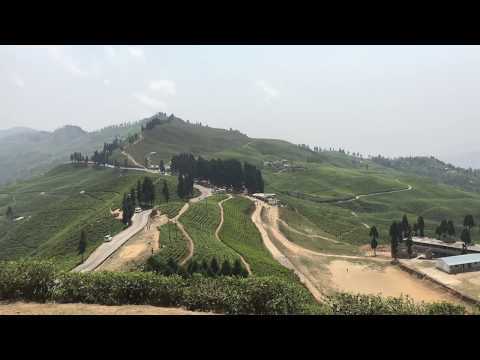 It is famous for natural scenery and landscapes, tea plantation, and diverse agricultural economy. The weather here is freezing in the winter, mild warm in summer and foggy in the monsoon season. Many tourists come to Ilam for sight seeing of the natural beauty.